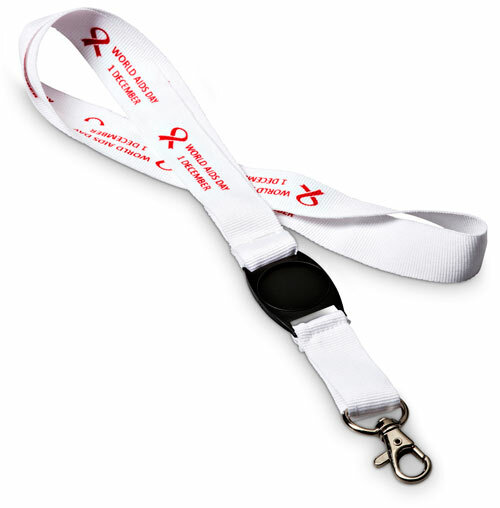 Description: This Aids awareness lanyard is a beautiful white lanyard printed with a World Aids Day 1 December branding. The lanyard also has a black clip with a recess for a beautiful full colour dome branding. Lanyards are popular promotional items and the Aids Day lanyard is great for promoting HIV and Aids awareness all year round. The Topsy Foundation will receive R1.00 from the sale of each lanyard.